Haji Ali Dargah is the complex housing the tomb of the Muslim Saint Pir Haji Ali Shah Bukhari (R.A.). 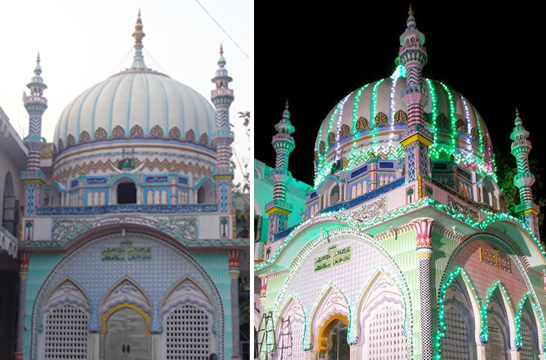 Along with the tomb, there is also a Masjid at Haji Ali. This monument has been sentinel to the shores of Mumbai since a long time. Sayyed Peer Haji Ali Shah Bukhari, who gave up all his worldly possessions before making a pilgrimage to Mecca. Hailing from Bukhara (present day Uzbekistan), Bukhari travelled around the world in the early to mid 15th century, and then settled in present day Mumbai. Once the Saint saw a poor woman crying on the road, holding an empty vessel. He asked her what the problem was, she sobbed that her husband would thrash her as she stumbled and accidentally spilled the oil she was carrying. He asked her to take him to the spot where she spilt the oil. There, he jabbed a finger into the soil and the oil gushed out. The overjoyed woman filled up the vessel and went home. Later, Pir Haji Ali Shah Bukhari had a recurring and disturbing dream that he had injured Earth by his act. Full of remorse, he soon fell ill and directed his followers to cast the coffin carrying his body into the Arabian Sea. Haji Ali died during his journey to Mecca and miraculously the casket carrying his body, floated back to these shores, getting stuck in the string of rocky islets just off the shore of Worli. 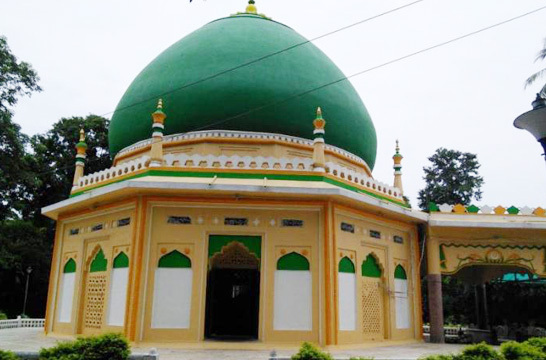 Thus, the Dargah was constructed there. The Dargah is built on a tiny islet located 500 meters from the coast, in the middle of Worli Bay, in the vicinity of WorliThe accessibility to the dargah is very much dependent on the tides. As, the causeway is not bound by railings, when the causeway gets submerged during high tide it becomes inaccessible. Therefore, the dargah is accessible only during low tide.